In April, the FDA approved Zykadia, a new medicine for non-small cell lung cancer developed by Novartis. Novartis received approval after positive results in Phase 1 clinical trials involving over 240 patients across 30 countries. Is the new medicine effective in treating disease? For which patient populations is the medicine effective? What are the medicine’s side effects? Pharmaceutical companies use clinical trials to identify new ways to prevent, diagnose and treat disease. These trials may take six months to four years to complete, depending on the disease, trial length and number of patients. Today, the National Institute of Health maintains www.clinicaltrials.gov, a public registry of over 175,000 trials in 187 countries. 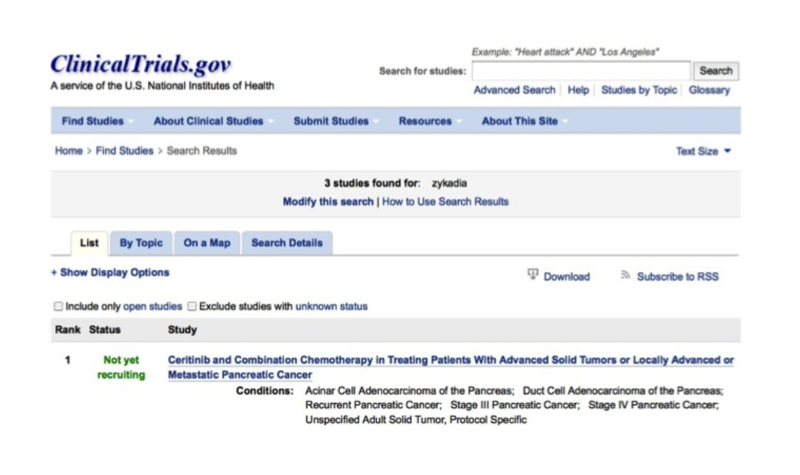 With an online registry, medical researchers can easily determine which continuing trials are effective for certain patient populations. Researchers can also review the adverse events associated with new medicines, if any. This saves valuable time and improves patient outcomes worldwide. Is a user able to complete a task? How long does it take the user to complete this task? How many errors does the user make while completing a task? There’s no lack of resources for software companies seeking to improve usability. In Silicon Valley, there are nearly 20 research labs available for rental and online services such as Applause are compelling alternatives. However, the results and insights derived from these usability tests are viewed as proprietary information. Unlike the NIH public registry, insights from these tests are not shared with others. While there are credible reasons to protect such information, there are equally strong reasons to share: 1) catalyzing thought leadership in the ecosystem, 2) benchmarking vs. comparable applications, and 3) supporting mission-driven organizations and NPOs. As an example, a company such as LinkedIn could share past usability issues and solutions for purchasing ads, jobs and subscriptions for US and international users. Combined with research interviews, notes and video, a resource of insights would be invaluable for emerging companies. If we had an online resource of software usability insights populated with real-life examples, future designers and developers could build first-rate applications faster than ever before. Previous PostLessons learned from a failed test Next PostHello?